David Roe, whose 19-year tenure as president of the Minnesota AFL-CIO saw historic expansions of workers’ rights and protections in the state, died Feb. 13. He was 92. Labor leaders and lawmakers remembered Roe as a major player in Minnesota politics and devoted family man, whose concern for the welfare of working people was genuine and enduring, as shown by his successful campaign to install the Workers Memorial Garden on the Capitol grounds. After being discharged from the U.S. Navy in 1946, Roe first became a member of the Brotherhood of Railway Clerks before joining Lathers Local 190 a year later. 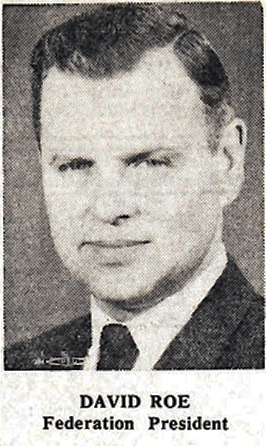 Members elected Roe to serve as Local 190’s vice president in 1951, and he quickly rose up through the ranks of union leadership. By 1956 Roe was serving both as business representative of the Minneapolis Building Trades Council and as president of the Trades statewide. The state’s largest labor federation, the Minnesota AFL-CIO was still in its infancy when Roe succeeded Robert Olson as president in 1966. Olson, who guided the 1956 merger of the AFL and CIO in Minnesota, endorsed Roe, and he ran unopposed. This photo accompanied the Union Advocate’s report on Roe’s election to the state’s top union office in 1966. That had changed by the mid-1970s, when labor’s political efforts helped elect progressive majorities in the Legislature and a young, DFL governor, the late Wendy Anderson. Between 1973 and 1978, Minnesota saw a slew of labor-backed reforms enacted into law, including a minimum wage, prevailing wages for public construction projects, major increases in unemployment insurance and workers compensation, a progressive income tax and expansion of collective bargaining rights to most public employees. Roe developed close relationships with titans of Minnesota politics, including former vice presidents Hubert Humphrey, who asked Roe to travel with him to South Vietnam in 1967 to survey the U.S. military campaign, and Walter Mondale, who was elected to the U.S. Senate the same year Roe won election as Minnesota AFL-CIO president. Mondale called Roe a “dear friend” in an interview with the Minneapolis Labor Review after Roe’s death. “We’ve been almost like members of the same family ever since (1966). We worked together on the issues,” Mondale said, including the creation of OSHA, the Occupational Safety and Health Administration, in 1971. As powerful a presence as he became in the corridors of political power, colleagues in the labor movement said he never lost touch with the rank-and-file workers he represented. A Star Tribune editorial published two days after Roe’s death recalled the labor leader’s vocal support of a black civil rights leader running for Minneapolis mayor in 1971, as well as Roe’s unwavering support for the “Willmar 8,” who staged a historic strike for equal pay at a bank in 1977. In retirement Roe continued to hold seats on influential committees, including the University of Minnesota Board of Regents. Appointed in May 1981, he served consecutive six-year terms as a regent, and also held seats on the Board of Visitors for the U of M Medical School and the Minnesota Racing Commission. But Roe sunk most of his retirement energy into efforts to build a lasting tribute to the working people who built Minnesota. It started with the Labor Interpretive Center – a project eventually scrapped by Gov. Jesse Ventura – and came to fruition with the Workers’ Memorial Garden, dedicated in August 2010 on the State Capitol grounds. A mural at the memorial was finished in May 2016. Roe was preceded in death by his wife Audrey, and is survived by daughters Judy Grudem, Nancy Holtz and Susie Olson. 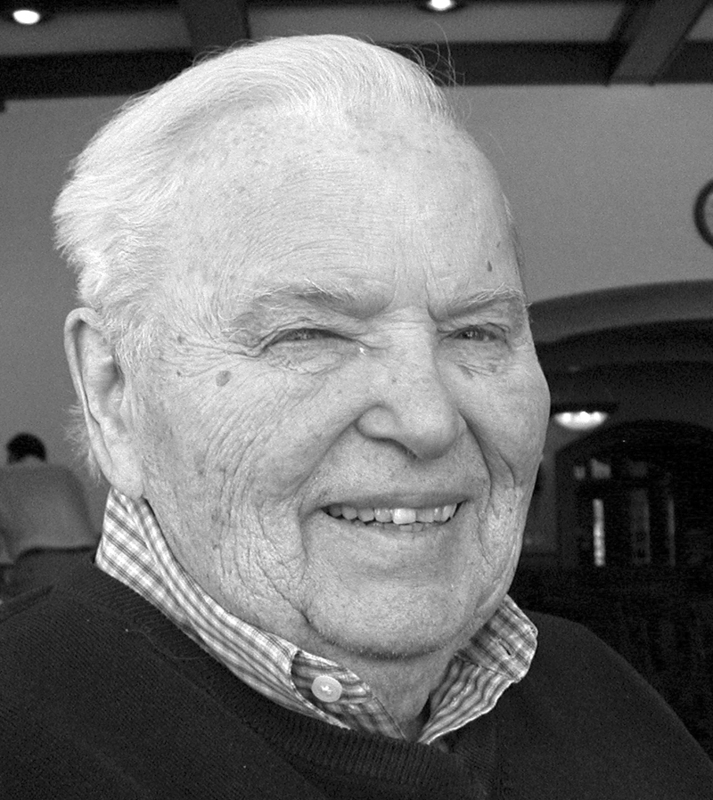 Visitation is Sunday, Feb. 19, from 1 to 4 p.m. at Washburn-McReavy Edina Chapel, 5000 W. 50th St., Edina. A funeral will be held Monday, Feb. 20, at 11 a.m. at Mount Zion Lutheran Church, 5645 Chicago Av., with visitation at 10 a.m.